If you’re scratching your head and looking at a map wondering what could be so wonderful and fascinating about taking pictures in Montana, perhaps a quick reminder that two of the most famous and beautiful National Parks occupy, at least in part, the State of Montana, will jog your memory. 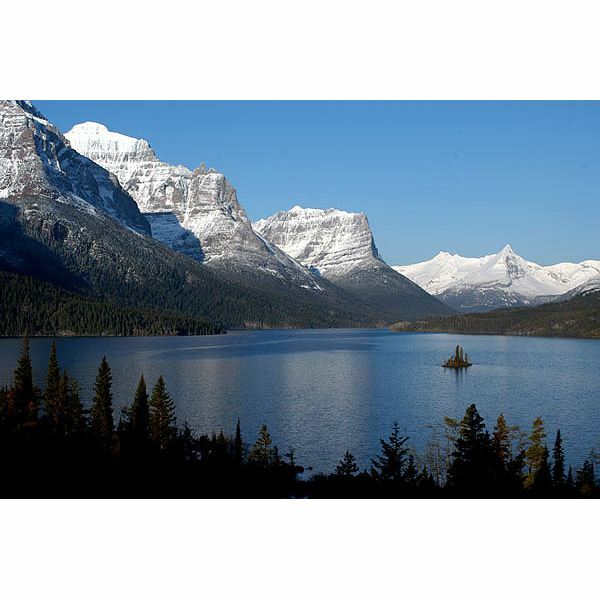 In the northwest section of the state, Glacier National Park offers amazing photographic opportunities. If you have ever wanted to take a photograph of a smooth glass-like lake with mountains reflecting in the water, this is the National Park for you. In wintertime, the park is covered in snow. While traditional mountain snow photography calls for shooting undisturbed, freshly fallen snow, Glacier offers several variations on the theme that can provide just as impressive of pictures. Consider shooting windblown snow with its harsh streaking surface, or find a large object that has built up an impressive snow drift on one side. Don’t forget about footprints! The large wildlife in the Glacier National Park leave impressive trails in the snow. While you’re at it, you better get a shot of an actual glacier. Unfortunately, glaciers are so big and impressive, it is hard to capture an impressive picture with a digital camera. That stories-high wall of ice loses something in capturing its light on your sensor’s pixels. The solution is a nice hike up toward Siyeh Pass. Keep your eyes open for a great vantage point of a hanging glacier. Now that makes a cool Montana picture. Best of all, for those of you who want great outdoor photography without having to really be outdoors very much, the Going-to-the-Sun Road offers not only the coolest name of all National Park roads, but also dozens of turnouts that provide stunning locations and overlooks for the sedentary photographer to enjoy. Yellowstone National Park is primarily located in Wyoming, but a very scenic part wanders over the border on the south. However, the amazing wilderness doesn’t stop there. Gallatin National Forest borders Yellowstone to the north, and as you can imagine, the animals and forests don’t just stop at the park boundary. While Yellowstone’s famous hot springs are technically within Wyoming, the Northern Entrance to Yellowstone National Park is in Montana, and open year-round. A quick day trip from shooting the rest of Montana’s beauty can yield not only spectacular erupting geysers, but also high waterfalls. Of course, if you want something a little different out of your waterfall photo shoot, consider one of the numerous mountain streams and mountain rivers that freeze over in the winter. A frozen waterfall can be just as dramatic as a flowing one. Glacier National Park, Gallatin National Forest, and Yellowstone National Park are all home to some of the biggest and most magnificent wild animals found in the United States. Grizzly bears, black bears, buffalo and/or bison, moose, elk, deer, eagles and more small animals and birds than you can name without a Biology degree. While the National Parks offer better facilities and more paved roads, for those wiling to off-road a bit, or do some hiking, getting into "the middle" of the forest is a more realistic possibility in the National Forest. Looking for other cool places to take pictures? How about cool places in Utah to take pictures and great pictures to take in Kansas. In addition to the two big parks, Montana is also home to some photogenic historic sites as well. The Lewis & Clark National Historic Trails runs across much of the state. Little Bighorn Battlefield National Monument, where General Custer made his infamous ill-fated last stand, are some of the big ones. In some places, these are the typical roadside side and nothing more, but in others, you can get nice shots of the ruts from the wagon trails which are still carved into the ground. If photographing big furry animals, forested landscapes, and wilderness aren’t your thing, how about something almost human? Powderhounds and ski bunnies, both abound at Big Sky Resort in Montana. Whether you want pictures of skiers in deep powder, or a shot of big air skiing or boarding, Big Sky has everything you need. You just have to supply someone good enough to handle the terrain (or just wait for someone to come by in front of your camera). Livingston, Montana has a quaint and very photogenic downtown area. There are also three museums in town, and a couple dozen art galleries showing the kind of fascinating art that is created by those who don’t have to "get away from it all," because they are already there. Bozeman, Montana is home to Montana State University. As you might imagine, this is indeed a college town. In fact, Bozeman sports so many interesting venues and places to visit, you might forget your camera J. In addition to the nice, but standard campus, there is the local hot springs, better for relaxing than pictures, but some fun steam shots can be had if you travel with a willing companion. Montana Museum of the Rockies has a large collection of fossils. For those of you who like to shoot the "ests" (biggest, smallest, oldest, highest, etc.) the LARGEST T-Rex skull in the world is inside. To top it off there are a swarm of art galleries, local breweries, historic buildings, and best of all, a 5-acre cemetery dating from last century. Actually, I mean last, last century (1800s). If you are disappointed that these towns aren’t as rustic as you were hoping for a part of the Old West, the historic mining towns of Virginia City and Nevada City­ should cure what ails you. Or, go all the way and head to Bannack, a ghost town inside of a state park. The small towns and wide open spaces offer another advantage, great night skies! Show up during a meteor shower get a shot. All you have to do is know how to photograph meteors. 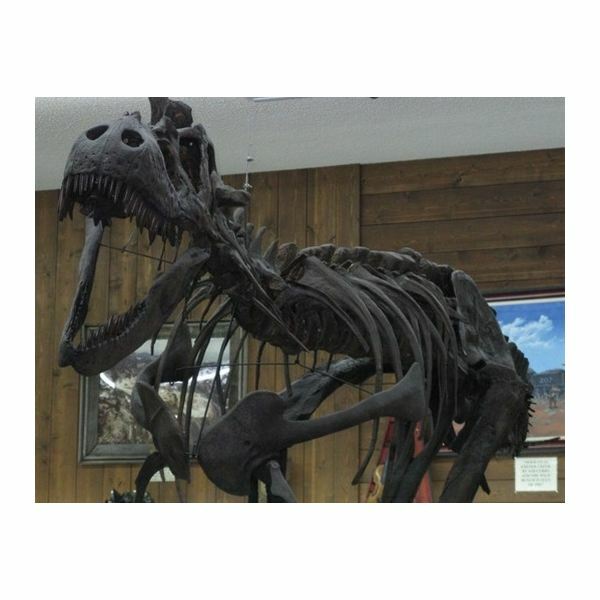 Dinosaur fossils are so common in Montana that a fully articulated Hadrosaurus specimen known nicknamed "Elvis" sits not in one of Montana’s numerous national monuments, nor in a Montana State museum, but rather in the Phillips County Museum. While Montana may not be home to any sprawling, big city, metropolitan areas, its towns have the kind of photographic opportunities you won’t find in any of those big cities. Speaking of photographs you can’t take anywhere else, if you want real original pictures from Montana, don’t miss the Dinosaur Festival held in Malta in June. Whatever your tastes, just opening your eyes gives you great locations for photography in Montana.